This week sees a double helping of games added to the PlayStation Plus Instant Game Collection, and the two games couldn't be any different from each other if they tried. 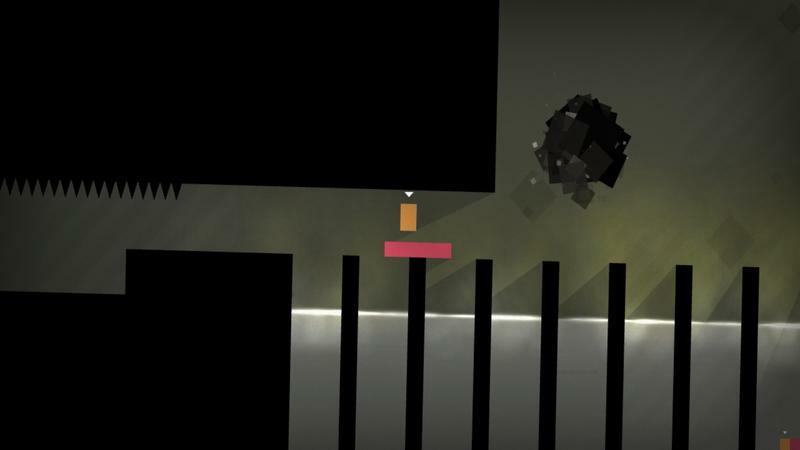 The first is the popular puzzle/platformer Thomas Was Alone, a game which explores the relationships between geometrical rectangles and how they align in a certain pattern to clear a level. I'll give props to any game who can convince me that a rectangle can be a charming character, and David Housden's soundtrack is also out of this world. PlayStation 3 owners can download this game, but keep in mind that it also sports cross-buy and can be played on the Vita. This week's other game, Unit 13, will also help you get your portable gaming fix, providing all the online bells and whistles of a fully connected online third-person shooter in the palm of your hand. The game provides a campaign mode of 36 missions as well. On one hand you have a game that represents everything that is good about the indie market, and on the other hand, you have the world of AAA gaming which you can take on the go. I'd ask which camp you fell in, but luckily, you don't have to make a choice. Both are available for free this week through the PlayStation Store for PlayStation Plus Subscribers.